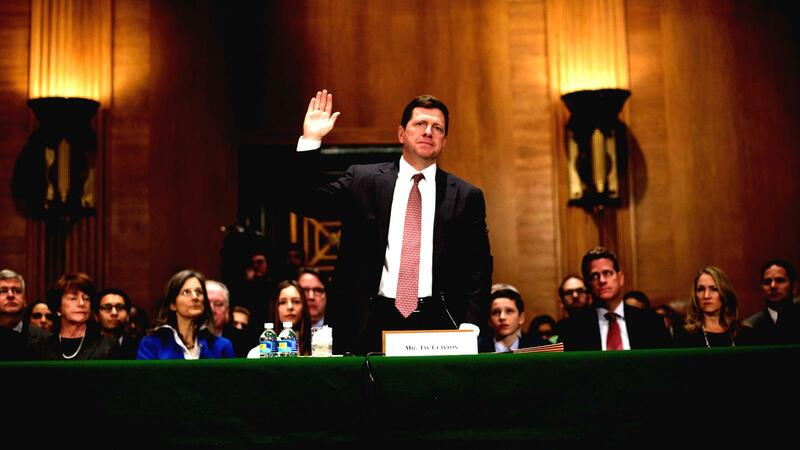 Last month, director Hinman of the SEC’s Division of Corporate Finance SEC shocked the (legal) blockchain world with some peculiar statements during a speech. He stated that Ethereum, the cryptocurrency that fuels “the world computer”, is not a security. Instead, he believes Ethereum tokens stopped being a security sometime after its ICO. I believe he is wrong. 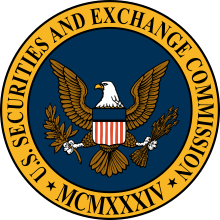 The SEC does not make law. They give guidance and enforce the law. 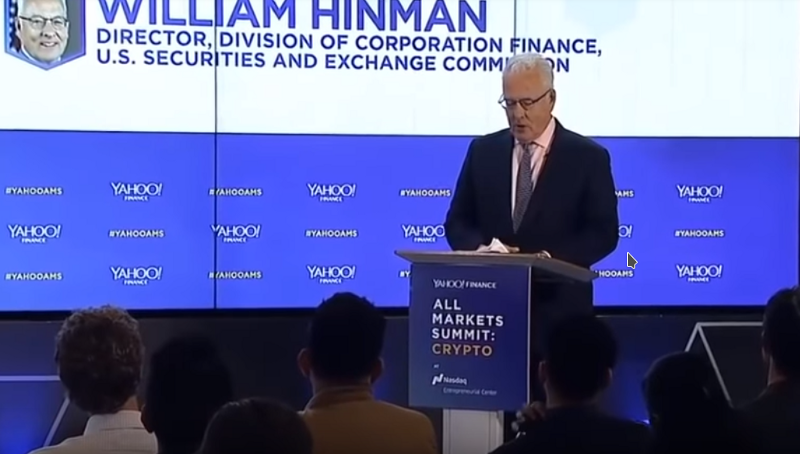 Mr. Hinman did not say that Ethereum never was a security. He also didn’t say that ICOs are not securities offerings. What he did say is that Ethereum is no longer a security. So, why do I think he is wrong? The Howey Test — a really short intro to securities. In Howey-in-the-Hills vs the SEC, Howey sold citrus groves to its hotel visitors. The groves were then leased back to Howey under a service contract which stated that Howey would tend to the land, harvest it and sell the produce. The buyers of the real estate would then profit from the sale of the citrus’ harvest. Although this was not technically an investment contract, it was held by the Supreme Court that the form of the relation between the parties should be disregarded in light of the economic reality. At the end of the day, investors were investing in Howey with an expectation of profits. You might be thinking: Why does this matter? Well, investors want to profit from their investments. As an investor, the success of your investment is dependant on the efforts of the issuer. To make an informed investment decision, you therefore want to have access to any important information about whatever it is you invest in. The law recognizes this. Hence, securities laws make sure that if a contract meets the four criteria of the Howey-test, the issuer has to file a so-called prospectus. Simply said, in the prospectus, the issuer has to provide information about, for example, its background, financing, plans, financial stakes and risks. There is no question that, at the time of Ethereum’s ICO, investments in ethereum most definitely met all of the four prongs of the Howey-test. Everyone who participated in the ICO invested their Bitcoin, hoping for profits which would arise from the development of Ethereum, or in other words, from the efforts by the issuer of the tokens. So why would the SEC now say that Ethereum is no longer a security? Certainly, his reasoning makes sense. Why would an investor need information disclosure about a party that no longer has any influence on the invesmtent which is acquired? Someone who buys a citrus (instead of the groves ) from Howey has no use of information about the operational, financial and management risks of Howey-in-the-hills itself. Likewise, someone that buys Ether has no use for information concerning the Ethereum Foundation, if this foundation no longer has influence in Ethereum’s future. The fourth criterium of the Howey-Test (profits resulting from the sole efforts of a third party) would not be met, and, as such, Ethereum would not be a security. If the future value of Ethereum no longer depends on the efforts of the Foundation, then the investor doesn’t need securities laws to protect him. Although the thesis of the SEC is by itself reasonable, I believe it ignores the realities of Ethereum’s governance and the influence of the Ethereum Foundation, the issuer of the token, over Ether’s value. For the SEC’s thesis to be valid, Ethereum has to be decentralized. Is the price of Ethereum still solely reliant on the efforts of the Ethereum Foundation and Ethereum’s founders? First of all, we know from past case law, that the word ‘solely’ is not to be taken too literally.² In fact, the term is also interpreted to include significant or essential managerial or other efforts necessary to the success of the investment. Therefore, if significant or essential efforts from the Ethereum Foundation are required for the success of Ethereum, it is still a security. Are the efforts by the Ethereum Foundation and Ethereum’s founders the most significant efforts for the success of Ethereum? Let’s go over a few relevant factors. An obvious factor to take into account is the impact of the Ethereum Foundation on Ethereum’s governance. In theory, there is a substantial degree of decentralization here. Literally anyone can propose and contribute to code and any such new code will be voted on by a decentralized set of miners. In practice however, I believe that a closer examination would show that a significant influence still resides with its issuers. Although empirical analysis is more suited to prove this, we know that the most important changes to Ethereum’s network (the implementation of Casper PoS as a consensus model, the rejection of on-chain governance structures and the DAO hard fork) were all a direct result of Ethereum’s core developers’ efforts. All these changes have had a direct, measurable effect on the value of Ethereum. In fact, the DAO hard fork decision, which only came to be due to the efforts of Vitalik Buterin, has even led to Ethereum splitting up in two different assets: Ethereum and Ethereum Classic. 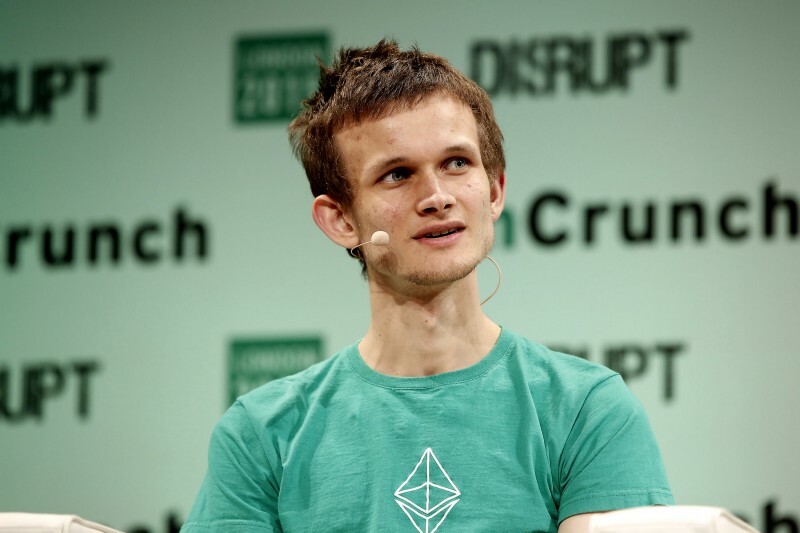 Indeed, a substantial part of Ethereum’s success can be attributed to the cult-like adoration of its founder, Vitalik Buterin. He is seen by the entirety of Ethereum’s community as the kid-genius that has made Ethereum what it is today. To this day, his efforts to market, develop and form the Ethereum ecosystem are what makes Ethereum unique as compared to similar projects. It is these efforts that have given, and continue to give, Ethereum its competitive edge over other smart contracting platforms. As such, we have to examine the degree of dependence of future profits on the original codebase, versus the degree to which profits arise due to future ‘decentralized’ efforts, at the moment of the investment. To do so, we have to know what gives Ethereum its value. Since its inception, Ethereum has mainly served as a platform that allows developers to raise money for other tokens through Initial Coin Offerings. Without a doubt, this is the main use case of Ethereum and therefore the main source of value. Now one could argue that, because each of these ICOs is developed by different parties, Ethereum’s value arises from the efforts of third parties. Again however, the reality is that the Ethereum Foundation and its core developers have had a huge influence here. They not only made it possible for other developers to launch tokens on top of Ethereum, they actively pursued this as the main goal of Ethereum. From the beginning, the whole design-philosophy behind Ethereum has been to make it as easy as possible to launch tokens on top of the network. The first thing one learns when learning Solidity (Ethereum’s smart contract coding language) is how to create a token. The second thing one learns is how to sell it to the general public. Caption taken from Ethereum.org — The focus is, to this day, to teach people how to do an ICO. Aside from that these ICOs are a direct result from the Ethereum’s Foundation’s original efforts, there is some truth to this. However, since all the way in 2014, the Ethereum Foundation started investing its money in projects aiming to build or issue tokens on top of Ethereum through Ethereum Foundation Grants. In 2015, one of the founders of Ethereum named Joseph Lubin, incorporated a venture studio and seed investing fund called Consensys. Consensys would go on to be the main funder of early-stage development teams wishing to do an ICO on top of Ethereum. Another big fund is the Ethereum Community Fund, in which the Foundation plays an advisory role. Many other funds and startups in the Ethereum ecosystem are in some way informally connected with the Ethereum Foundation and its founders. Despite the Foundation’s huge role in funding, the main figures behind Ethereum have always advised the most successful ICOs on ethereum. They have been taking on both formal and informal roles in return for a percentage of tokens . As such, they have directly and indirectly played a large role in the success of many ICOs, which has always been the main driver of the value of Ethereum. Some would argue that Ethereum’s value does not come from ICOs at all, but from adoption by companies all around the world instead. 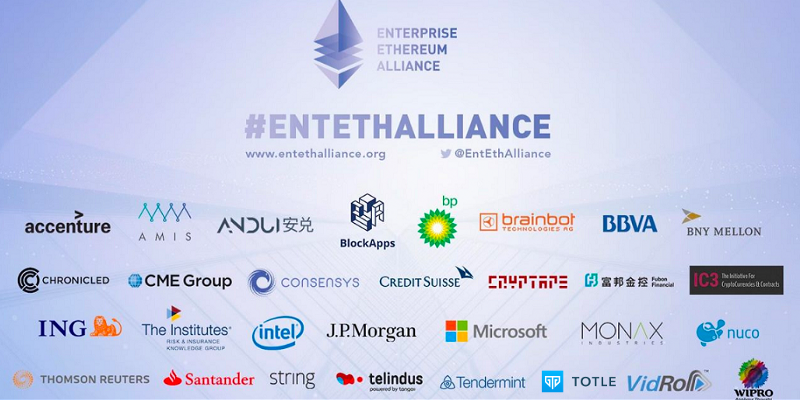 After all, the Enterprise Ethereum Alliance (EEA) consists of a number of the most prominents banks and tech companies in the world, including UBS, Santander, JP Morgan, Instel, Microsoft and many more. First, it is important to recognize that private Ethereum chains are a whole other subject than the public Ethereum chain (and therefore the ETH token). Moreover, I am not aware of any actual, relevant adoption coming from EEA members, aside from pilots. And guess who set up the EEA? Indeed, the Ethereum Foundation. Now, I don’t aim to take away anything of the immense achievement by Ethereum’s founders in building out Ethereum and its ecosystem, nor do I wish to put anyone in a bad light. Although I might not agree with every strategy Ethereum has adopted in the past, I do have immense respect for the efforts put into Ethereum by its founders. 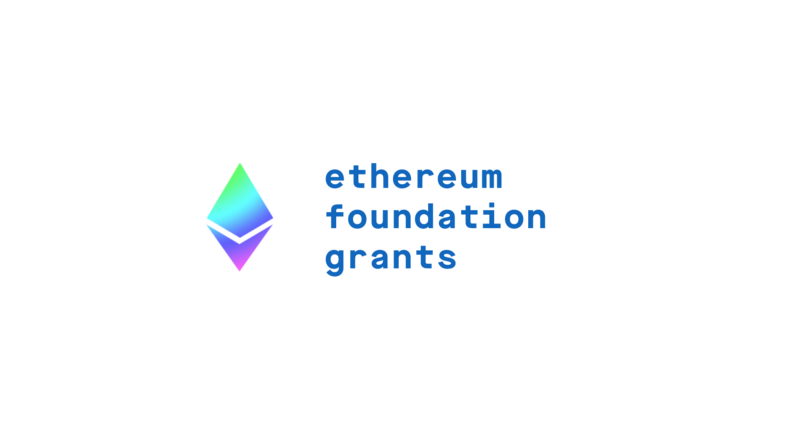 However, there is no way that one can say that it hasn’t been the efforts of the Ethereum foundation and its founders that have provided, and still continue to provide, for the success of Ethereum. The wording of the Howey-test’s fourth prong is whether an investor’s expectation of profits is ‘reliant solely on the efforts of a third party’. In the case of Ethereum, it is true that the value of Ethereum tokens is determined by many factors, parties and decisions — not solely the Ethereum Foundation. However, further case law has shown that the word solely can be very loosely interpreted. After all, the Howey-test is concerned with the economic reality of a product. The economic reality here is that the Ethereum Foundation still plays a very significant role in the Ethereum ecosystem. Therefore information disclosure about the Ethereum foundation is of importance for the protection of investors. Personally, I believe that the information asymmetries between retail investors and ‘insiders’ are bigger in the crypto space than in any traditional business, albeit partly due to the complicated nature of blockchain technology. Getting rid of such information asymmetries is why securities laws exist in the first place and I believe that if it was up to a competent judge/jury, the only conclusion will be that Ethereum was, and still is, a security. The SEC is wrong, and I think they know. Yeah… I wouldn’t be surprised at all if, somewhere in the coming weeks, Director Hinman is revisiting his statement. If you made it all the way here, please give some claps. Holding the clap button is very satisfying. Thijs Maas is a Dutch LLM student with a healthy obsession for the legal challenges that arise in relation to the wave of innovation brought by distributed ledger technologies. He started www.lawandblockchain.eu and helps blockchain startups navigate legal issues around ICOs and STOs through his consultancy business. For this analysis, I have simplified many aspects of past jurisprudence in securities laws. I have also cut many corners in my analysis. A full analysis would take half a book or a good LLM/PhD thesis. I have also decided to completely ignore the impact of decentralization on the second prong of the Howey-test for readability purposes, as interpretation of the ‘common enterprise requirement’ is split between districts (horizontal & broad/narrow vertical commonality) and Mr. Hinman’s statement made it clear that his thesis revolves around the fourth prong.